As a kid, I came here a lot to visit family. There is a Vietnamese area which is great! Old Sacramento is the best part of Sacramento. It has History, Unique Shops and tons of different fun things to do. This is the California Capital and HQ of a State that in many ways is its own Country and own worst enemy. I've been here several times for the State Fair, to the Capital, taking family to the California Railroad Museum/Old Sacramento, to see the River Cats, and on my way through towards the Mountains. 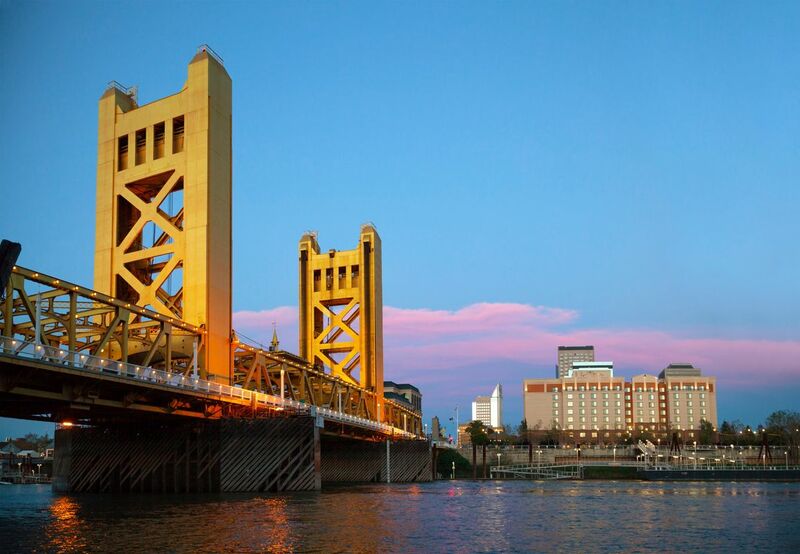 A few of the "must-sees' in Sacramento are the state capitol, Sutter's Fort, Old Sacramento, and the Train Museum. It is really hot in the summer, so that might not be the best time to go, but it is definitely worth a stop on a tour of California. Sacramento overall is rather boring yet there are some very nice attributes: The state capital is grand and lovely. The California Rail Museum (and the entire community there) is absolutely worth a trip. Rafting in the nearby rivers is enjoyable. I gotta say that after traveling all around and living in California 10+ years, I've come to appreciate Sacramento more and more. Yes, it's ridiculously hot during summer. Yes, there are some extremely broken-down neighborhoods. But it also has some of the state's most moving museums and historical sights, an innovative and affordably priced food scene, and (this is important to me, but may not impress you much, I realize!) one of the most gorgeous minor-league baseball fields on the West Coast. Oh, wait! Great vintage, secondhand and antique shops, too. And a ridiculous number of gourmet coffee micro-roasters to pick from (start your journey at Temple, why don't you?). Sacramento is the state capitol of California so there are some interesting buildings there. Other than that, it's in the center of the state and blistering hot. Sacramento is the state capital of California. It's mostly the last big stop for folks before they head out to Reno, Tahoe, or North/South California but there are places to see! Old Town Sacramento, The Capitol are a few places to check out. Sacramento has everything you are looking for! Lots of culture, a huge active Jewsih Community, warm weather- only 1.5 hours from mountains or ocean (cooler temps for those hot days! ).